Director/actor/producer Pratap Pothen will be starting his next Malayalam project, with the latest sensation Dulquer Salmaan as the lead. This film will have Anjali Menon in charge of the script while Rajiv Menon will be handling cinematography. Anjali Menon has earlier written the popular Ustad Hotel and she had also directed Bangalore Days. Hero Dulquer had shared his excitement in his social media page on being a part of this project and says, “It gives me the utmost honor to be a part of Pratap sir’s untitled next. The film is penned by my dearest Anjali (Menon) and shot by the first director I ever faced the camera with, Rajeev Menon. Global Media who's doing some exciting stuff, including my present film with Rajeevettan (Ravi) are the producers”. 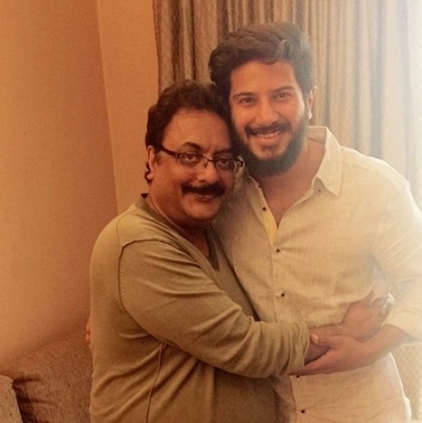 When Pratap Pothen was asked about Dulquer Salmaan, he said, “I think Dulquer in the years to come will be a superstar”. It is said that the film, which is yet to be titled, will be shot in Varkala in Kerala and will be a story based on contemporary romance. People looking for online information on Anjali Menon, Dulquer salmaan, Pratap Pothen will find this news story useful.